The Society organises an annual programme of events which includes walks, led by ourselves or by architects and other experts, around conservation areas, parks and housing estates, as well as visits to various buildings of interest both new and old. A list of our past events for the eleven years 2006-2016 can be found here. The first few events in the 2019 calendar have now been finalised, and are listed below. Other events will be listed here in due course. 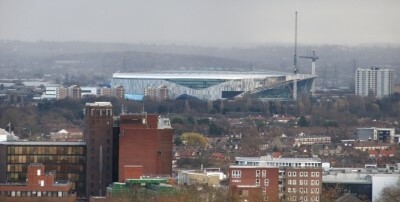 This tour will enable people to see the rich heritage of the High Road and the many changes that are taking place: the massive new Spurs stadium; restoration projects; new cafes, pubs and businesses; housing developments. We will end at Tottenham Green where there are several places to get refreshments. Meet at Bennetts Close, N17 OHD (opposite Sainsbury's, Northumberland Park). Further information from joyce dot rosser13 at gmail dot com or telephone 020 8347 7684. A guided tour around the outside of 14 properties recently restored by Haringey Council with grants from the Heritage Lottery Fund. We will also look at the new rain gardens (Sustainable Urban Drainage Systems, or SuDS) installed to manage water run off along the historic route of the River Moselle. 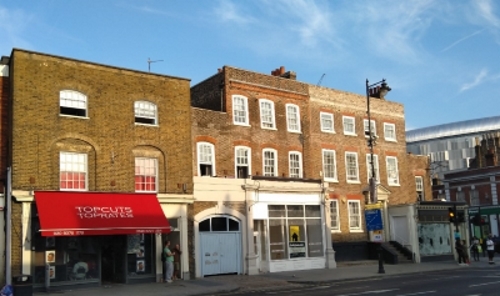 The attractive Georgian and Victorian buildings along the High Road are part of the second conservation area to be designated in the borough, at the junction with White Hart Lane. Most of the shopfronts have now been replaced with traditional timber to improve the appearance of the streetscape at the northern gateway to Tottenham. Local residents participated in heritage activities related to the scheme and the Tottenham Conservation Area Advisory Committee and Tottenham Civic Society were closely involved in the designs. Meet outside White Hart Lane Station, N17 8HH on the corner of Love Lane and White Hart Lane. Further information from joyce dot rosser13 at gmail dot com or telephone 020 8347 7684. Join us for a drink or meal at The Antwerp Arms afterwards, North London's first community pub, on the edge of the beautiful Bruce Castle Park. This section of the River Moselle walk will cover the four miles from Queen's Wood, through Crouch End Open Spaces, Priory Park, Hornsey, New River Village and the Noel Park conservation area, ending at Lordship Recreation Ground where there will be a special launch event in the Hub to celebrate the publication of the 3rd edition of the Moselle walk booklet and the recent works undertaken to improve the river's water quality. Bring a packed lunch. Meet at 11.00am at the Queen's Wood Cafe, N10 3JP (bus 43 or 134 to Highgate Wood). Further information from 020 8347 7684. A diverse 40 metre plot with a lawn dominated by a large weeping willow giving dappled shade over fan palms and ferns, and beyond it a fruit and vegetable garden with a japanese banana and a grapevine. Other features include a greenhouse, a pond and a patio with exotics in pots. 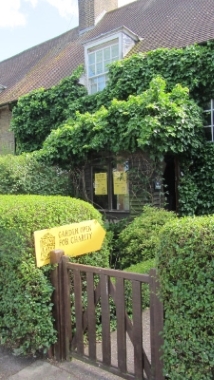 The garden (the entrance is shown to the left) was a featured "garden of the week" in Garden News in July 2018 and is open to raise money for charity as part of the National Garden Scheme -- see their website for details of other gardens in London open on that and other weekends. 21 Gospatrick Road, Tottenham N17 7EH. Admission £4.00 for adults, children free; home-made teas, wine and nibbles for a donation. The nearest Underground stations are Turnpike Lane and Wood Green; buses 144, 217, 231 and 444 run to Gospatrick Road, buses 123 and 243 run to Waltheof Avenue, bus 318 runs to Great Cambridge Road. This second part of the River Moselle walk will cover the four miles from Wood Green and go through the Noel Park conservation area, Lordship Recreation Ground, Tottenham Cemetery, Tottenham High Road (with its many historic buildings), cross into Tottenham Marshes and end at Markfield Park. 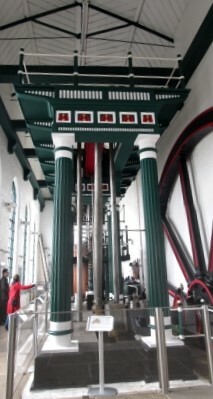 The historic, restored Markfield Beam Engine (pictured right), part of the listed Victorian sewage works, will be in steam on that Sunday and is a sight not to be missed. Refreshments will be available at Markfield Park Cafe, or bring packed lunch. Meet at 11.00am outside Wood Green Library, High Road, N22 6XD (a few minutes from Wood Green underground station). Further information from 020 8347 7684. External historical guided tour around the buildings of Tottenham Green, including C18th Georgian houses, C19th Jewish Hospital, Prince of Wales Hospital and Holy Trinity Church, ancient High Cross Monument, Edwardian Town Hall complex, housing developments and Bernie Grant Arts Centre. In this small area there are 17 national listed buildings as well as many other buildings of interest. This event is organised as part of London Open House weekend. Meet outside Old Tottenham Town Hall, Town Hall Approach Road, N15 4RY. Further information from 020 8347 7684. Visitors to this page may wish to note that Haringey Friends of Parks have published a number of booklets covering various walks in Haringey. 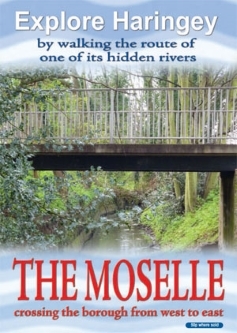 In addition to those linked to above, there are guides to the route of the (mostly culverted) River Moselle from Muswell Hill to the River Lea, and a collection of walks around the borough's parks. These guides can all be downloaded from the HFP website.